And, they'll be even prettier when your guests take them home and insert their favourite 2" x 3" snapshot of your special day. 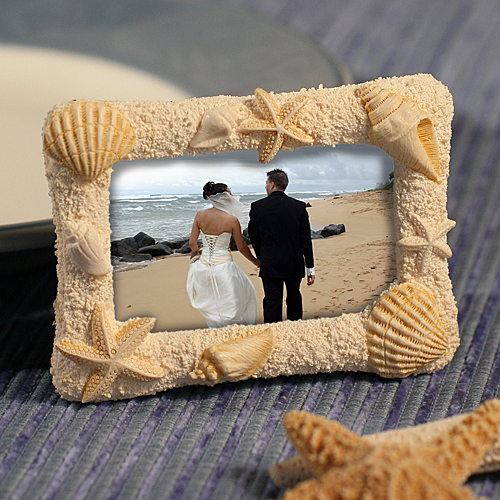 Great for any beach themed occasion or seaside event, these 2.75" x 3.5" natural coloured poly resin frames feature an authentic sandlike textured border adorned with a variety of realistic looking molded seashells. Also useful as decorative place card holders for your event tables. Each comes individually packaged in a white box with place cards included.